Don’t miss our PING Fitting Day! Where will it be won and lost? Don’t miss out on these fantastic events..
Bring along a friend or three! Don't miss our Lynx fitting day here at Crieff! Get fitted by Wilson here at Crieff Golf Club! Club Champion Simpson off to a flyer! Signs of another great season! Lynx Demo Day here at Crieff! Glorious for the opening day! Shop clearance sale at Crieff! The Winter League is back! What will 2016 bring for you? We're feeling much safer now! The shop has a facelift! Lots of guesses - but was yours right? More of the world's eyes on the Perthshire region? Have you tried the latest irons in store? Easter Junior Coaching Sessions - book now! It's never too late to have an ace! A big week at the club but what's in the box? Grab a bargain ready for the new season! The course work is looking great! Is your short game up to scratch? Our windwear prices that will blow you away! Get your Christmas voucher here! New stock ready for the winter! Don't our winners look happy? 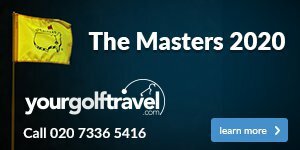 Captains picks for The Ryder Cup, who do you think they are? Ronnie Mclean holes his hybrid for two, solid two! Hole in One Fest Continues and Who Wants a Dozen Balls? A fantastic Senior Open, well done to all those who played! At the semi-final stage of the Ladies' and Gents' Championships, who will come out victorious? The Junior Bell Trophy team are on fire again! How can being custom fit improve your game? How did the Gents opening day turn out?